Product prices and availability are accurate as of 2019-04-23 23:55:56 UTC and are subject to change. Any price and availability information displayed on http://www.amazon.co.uk/ at the time of purchase will apply to the purchase of this product. Lightweight and durable, Easy snap on/off, tool-free. 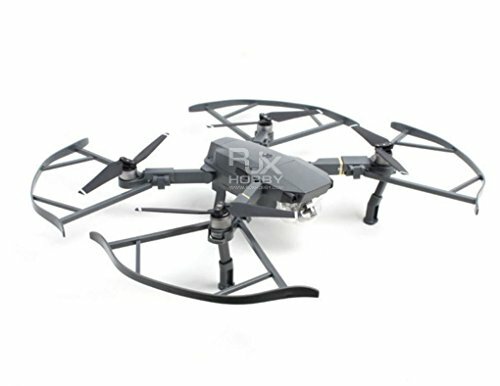 Compatibility: 4PCS Quick Release Propeller Guards Bumper Protectors For DJI Mavic Pro Drone ,No Obstacle Avoidance Interference - Gray. 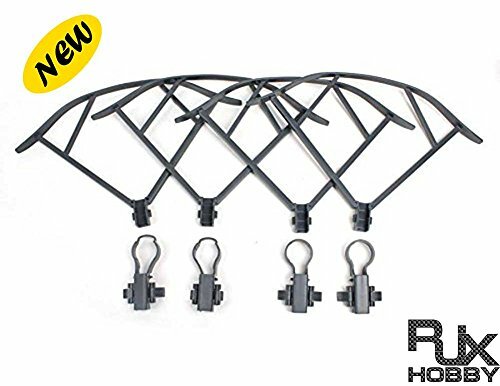 Advantage: With these prop guards, you will never break your props and crash your Phantom by accident bump into trees, walls, or any other obstacles. Material: The strongest DJI Mavic Pro propeller guard on the market. Made of ultra-strong poly carbon plastic. Flexible yet unbreakable. Package Includes: Gray Propeller Guards for DJI Mavic Pro*4 ( Drone and propeller and other accessories are not included).